I have been thinking about light of late. Working in dark wood can make these pieces so heavy. The boxes also have these darkened interiors and the deeper the box, the more dark space to balance. On the up side, these dark spaces add a sense of mystery. And like a candle glowing in a dark room, there is, at once, a sense of hope and surprise. So I have been thinking about light. 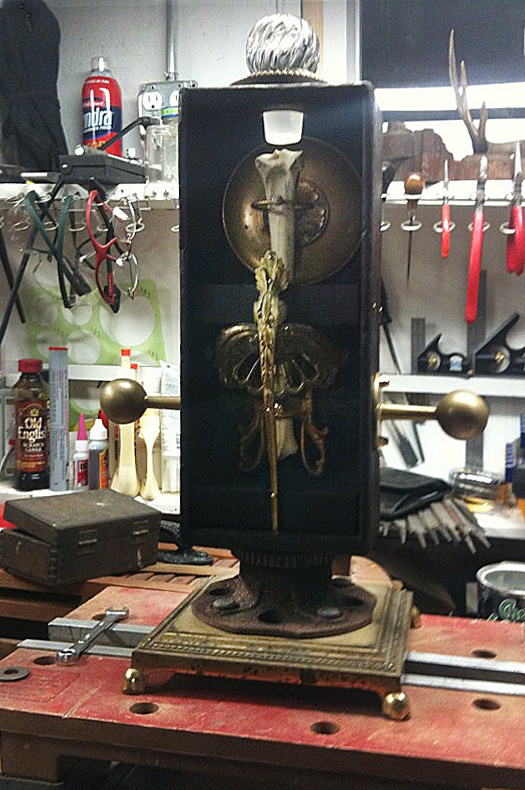 In this piece, with a glass bottle stopper at the top, light streams in illuminating the bone. As in the line from a Leonard Cohen song, “…forget about your perfect offering. Everything has a crack in it. That’s how the light gets in”.